The KrAZ-255B Truck Celebrates its 50th Anniversary! Half century ago, in July 1967, Kremenchug Automobile Plant began its assembly, this truck was in mass production up to 1993. During this period the plant built 160 732 units of the KrAZ-255B/B1 family, over 30 000 tropical versions were exported to foreign countries. Data about exact number of chassis exported as part of various special vehicles can be found only in archives of All-Union Foreign-Trade Organization “Avtoexport” and classified departments of USSR SCFER. The biggest output of this family was in the period 1978–1987, when 7500–8000 units rolled off the assembly line every year. 50 years is a considerable age for vehicle, for some vehicles 10 years is a limit. But the KrAZ-255B truck is not about to go to long rest. Today, almost a quarter of century after the KrAZ‑255B was discontinued, you could see them in CIS countries, on mountain roads of India, Afghanistan, Iran, in savannahs, sands and tropical jungle of Africa. Service with the army in combat operations, peace keeping missions, emergency response, operation in extremely harsh environmental and road conditions is the past and present of “laptyozhnik”. Today the KrAZ-255B vehicle is still on duty in the “hot” east of the country, in engineering troops of the Armed Forces of Ukraine. It is proved by reports from battlefields. 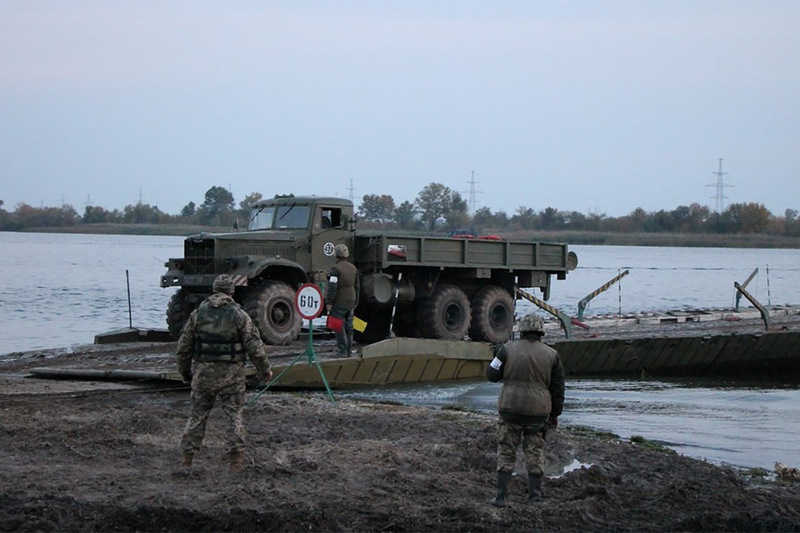 Thus, according to ATO General Staff Press Information Centre, military engineers built 70 m long heavy-duty pontoon ferry across Severskiy Donets near village Krymskoye. 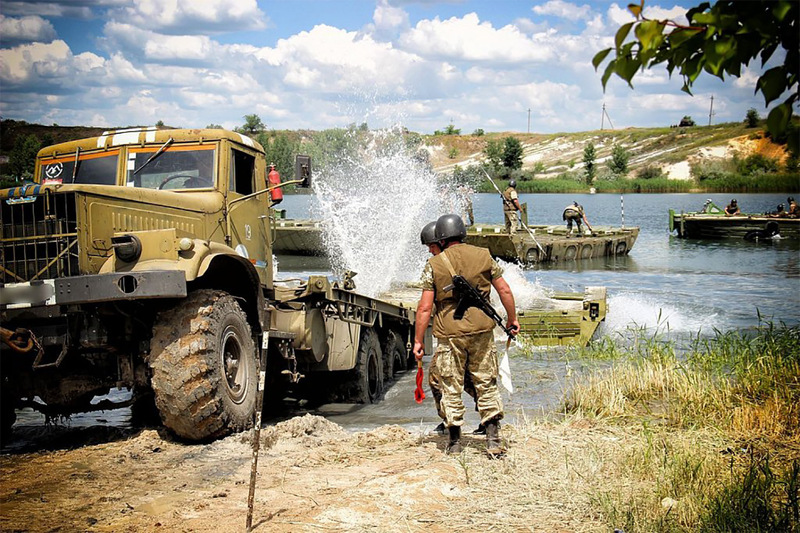 The KrAZ-255B carrying pontoon helped reconnect this and other districts where transportation is limited or absent. The age does not date the KrAZ-255B. Kremenchug off road vehicle-legend is still in service with the army and economy of over 50 countries worldwide.